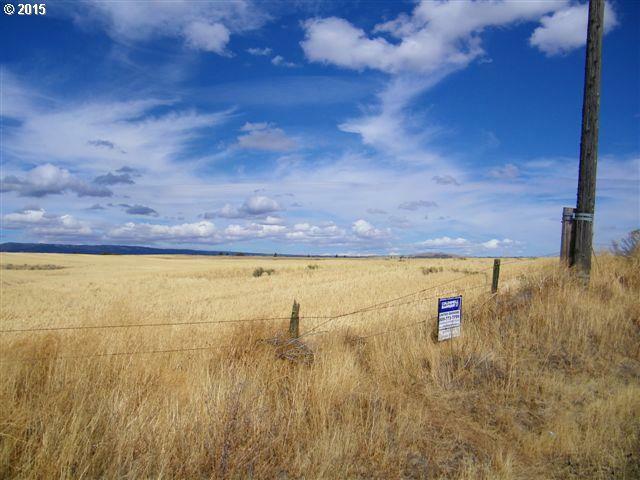 Level fenced 20 acres with 2013 drilled well (15 GPM, 400' deep), power along county paved road and underground phone can on property, fenced. Verbal farming agreement could be continued or not, crop is usually wheat or beardless barley. Has earned $3, 400 annually in past. Mountain and valley views. 40 foot container and contents included--3 HP submersible pump and 400 feet of 1 3/4" galvanized pipe inside. In ag r.e. tax program.